I'm almost at the end with my weekly project (which took me ages btw). All that is left now is to bind my quilt. Can you please help me with that? Is it better to bind it with a double fold bias tape? I would really appreciate your opinion. For now, here are the two sides of our new quilt. Dido (our cat) is already loving it. This is the front side. 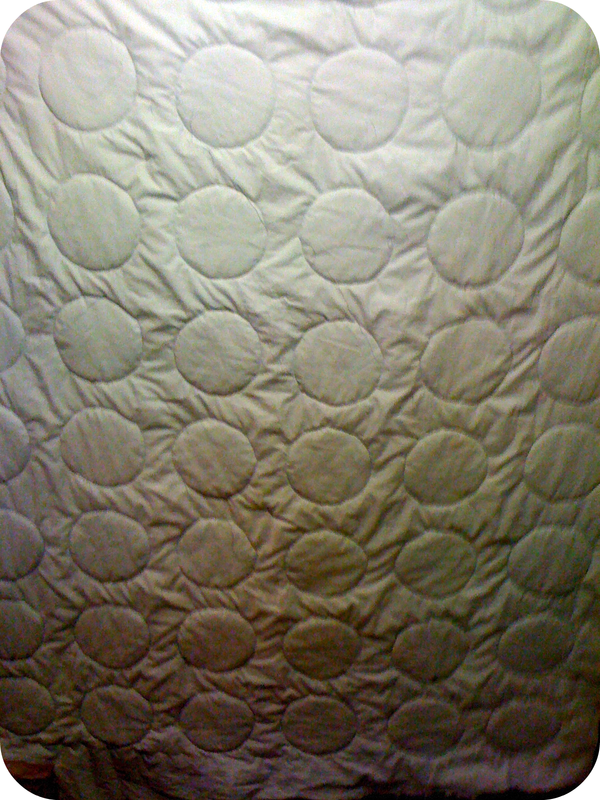 And for the back side I used a light grey sheet, which does not fit to any of our beds. I know that the photo is really crappy and you can't tell if it's grey at all. Sooorrryyy!!! I know I have made a million mistakes, many of the circles don't actually look like circles. It was so difficult to work with all the layers and all this fabric. My hands, my arms and my shoulders hurt with all this pressure onto the fabric to sew the circle. If it wasn't for Hercules (thank u so much sweetie) I wouldn't have finished it!!! 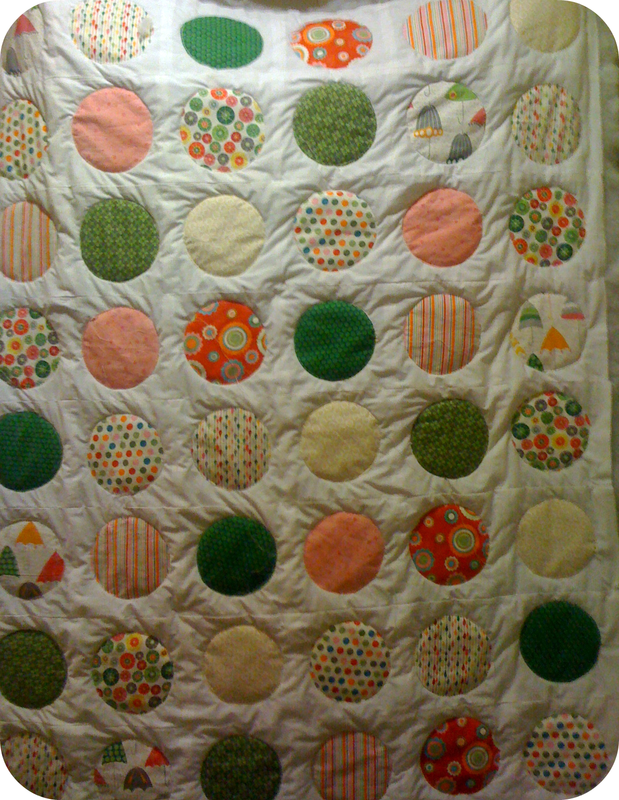 I'm in love with this quilt!!! Aren't you?? It's beautiful, and the circles all look fine to me!